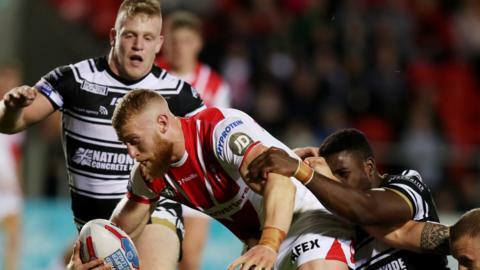 Watch highlights as St Helens beat holders Hull FC in the Challenge Cup quarter-final to reach the last four of the competition. BBC rugby league correspondent Dave Woods defends Super League referees following public criticism from some club owners. The greatest Challenge Cup final ever? Read more on The greatest Challenge Cup final ever?